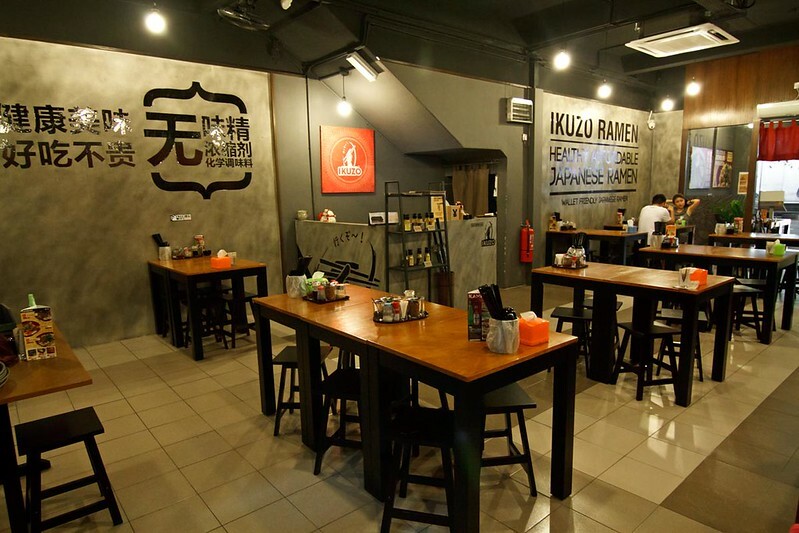 Since its opening, Ikuzo Ramen has becoming one of the hittest ramen shops in town, being crowned for serving high quality ramen at affordable price. 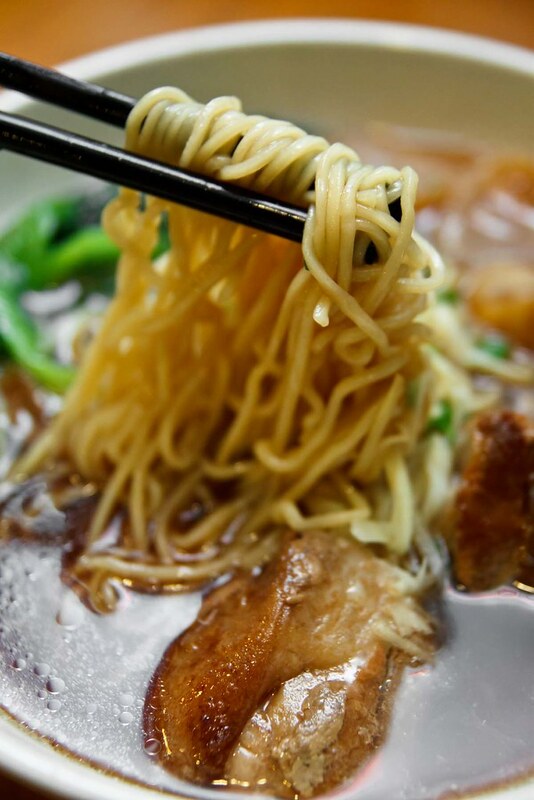 Here, by paying less than RM10.00, you can get a bowlful of ramen with generous toppings. What’s more is you do not have to worry on the quality and freshness. 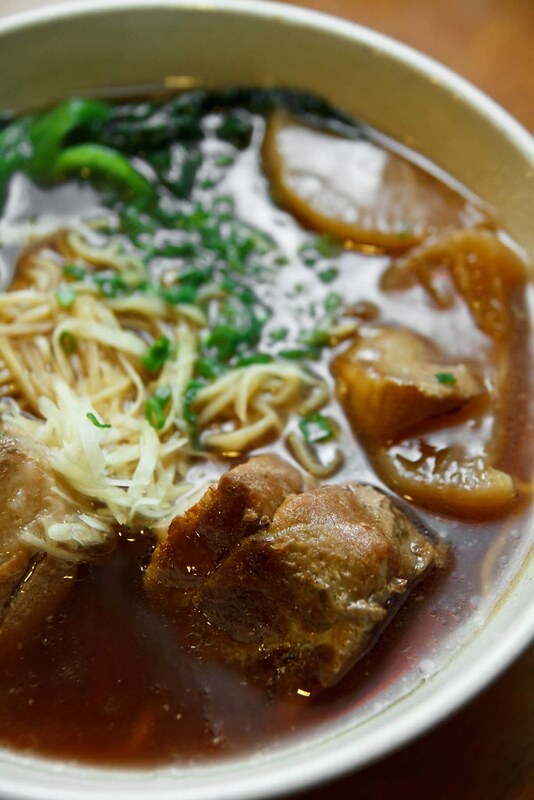 The chef, Shimbo Katsunori makes sure that every diner enjoy a healthy bowl of ramen by holding on following philosphy- no MSG, no soup concentrates, no artificial flavours, fresh handmade ramen, quality stocks from chicken and pork bones. We were there for early supper last week, and was amazed with the funky posters hanging all over the shops, where most of them highlighting their mission towards revolution of ramen, breaking off the ramen tradition. Still half-fulled from the dinner, we ordered only one bowl to share, Braised Pork Belly Ramen which was new on the menu and Nitamgo. For RM12.80, we got a large bowl of ramen with huge chunks of pork belly topping over, laddled with light, brown coloured soup. Smelt nice, looks tempting too. When most noodles are made from wheat flour, Ikuzo Ramen makes their ramen freshly from rye flour which has higher nutrition values. But we wasn’t satisfied with the noodle’s texture, as it was too soft, lack of springiness. The broth, however, was pleasant to sip on. 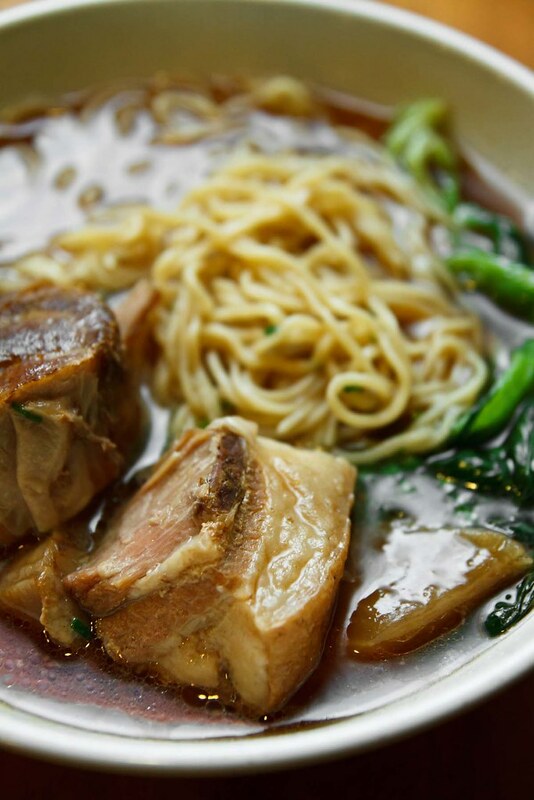 It was packed with the flavours of pork belly, almost like the light version of bak kut teh. But we believe it would be better if it was to be richer, thicker. The pork belly, was good at the fatty layers. Long brasing hours had turned it into soft, moist texture, almost melt in the mouth. 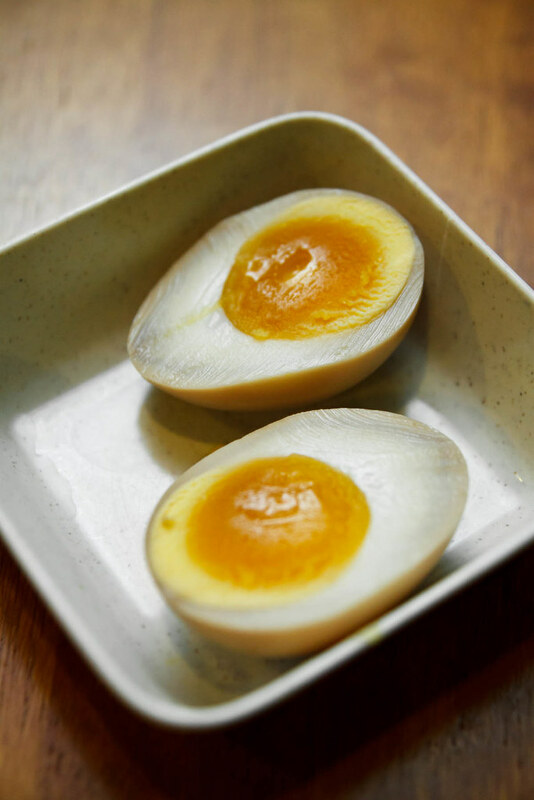 The egg didn’t meet our expectation, as the egg yolk had hardened. 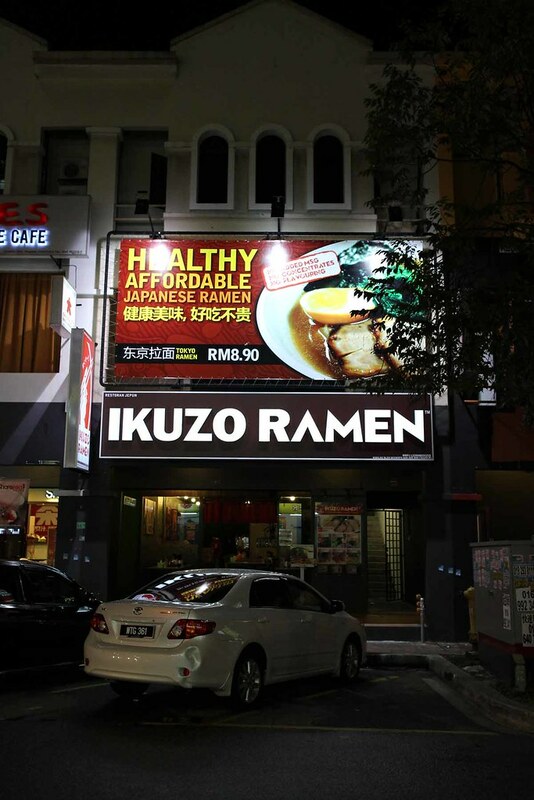 In a nutshell, you can’t really put Ikuzo Ramen into comparison with big ramen chains like Santouka and Menya Musahi, as they focus more in serving hearty bowl of ramen with thick, creamy, rich broth while Ikuzo aims in offering ramen that has no MSG, healthier, lighter broth with very reasonable price. So when price matter but you want to have a bowl of ramen, Ikuzo Ramen does come as an ideal place for ramen fix at cheap price. this ramen eatery is the new kid on the block eh? past by it the other day, and told my kaima that we should try it next time! Somebody bang the bumper of the car parked infront on Ikuzo Ramen…., hehehe.